Also known as a "Drill Through Packer" as the center pipe is big enough (3" I.D.) to easily run a drill bit through with packer left in place post grouting. We can fabricate many various sizes utilizing the 3" center pipe configuration. Call us for a quote. Description: Used to control water in drill holes and/or injecting cementious or chemical grouting compounds in high volumes. The hollow center pipe is securely anchored in the drill hole by the four precision made expanding polyurethane rubber sleeves and specially machined washers. Constructed using 100% high performance polyurethane rubber sleeves which; far superior than the standard rubber sleeves! We can provide a fully galvanized unit at only a 10% increase in cost over the standard packers! These units will be ready to use when you need them, not rusted hunks of metal. The Margo Grout Plugs (also called Grout Packers)are designed to be sized 1/8" smaller than the actual drill hole diameter. Accurate sizing results in maximum grout plug holding power. Attach your ball valve (not included) to the NPT threaded inlet pipe end. The Margo Grout Plug is available in all standard sizes for 1" (25.4mm) to 6" (152.4mm) drill holes including EX, AQ, BQ & NQ. These precision made Margo Grout Plugs have been used extensively in mines and construction projects throughout the globe and are made in Ontario, Canada. Available Sizes: From 1" to 6" hole sizes and 18" to 240" lengths. Any custom size is available! Please call or email for custom grout plug requests. Our plugs, similar to most other grout plugs or packers as they are sometimes called. They are anchored in the hole by expanding a flexible membrane to create a friction fit within the hole wall. For our membrane we use high performance polyurethane because of its stiffness and high shear strength in all temperatures. By tightening the drive nut at the top of the plug, this forces the outer sleeve onto the rubber and compresses it causing the rubber to expand against the hole wall. Because the plugs are used in many different types of ground, ground conditions and type of bit used to cut the hole we do not provide any pressure ratings with our plugs. Our plugs and similar styles are used throughout the industry and around the world for grouting applications for many years. 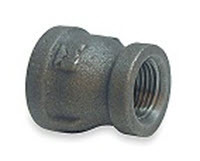 For high pressure applications, customers sometimes choose to drill two anchor holes, one on each side of the grouting hole, and anchor rock bolts in these holes. Then the grout plug can be chained or cabled to the anchors as an extra precaution. For normal grouting operations the friction fit of the grout plug is usually enough. Tighten the drive nut at the top of the grout plug until it just begins to compress the rubber. The rubber should be just snug in the hole and a bit of force is required to push it into the hole to the desired depth. Be sure to leave about 18” to 24” above the collar of the hole. Now continue tightening the drive nut to between 150 – 200 ft lbs of torque or until the end of the thread is reached. Check that the plug is secure in the hole. The diameter of the rubber and washers should 1/8” less than to diameter of the hole. The 2 piece plug is joined by a coupling set at the length desired. For the full 21 ft length, join the two pieces of hollow pipe with the coupling. The drive sleeve is also in two pieces and requires a washer be placed between the two butting ends. To use the short length, simply remove the second section and use the short section of hollow pipe and matching drive sleeve. This configuration is also useful in tunnels when it may be difficult of impossible to install a full length packer.